The graph on the right shows what the authors I interviewed chose to do. This leaves the question of when a writer should hire any of the above professionals. For what it's worth, here is my opinion. First off, this is one professional every writer does need. Because no one can see all the ways to make their own work better. If you give an editor free reign, she can suggest improvements to your writing you would never dream of. Over and over, my clients comment on how much better their work is when I am done with it. They are not talking about finding the missing commas, although I do that, too. They are talking about bringing a lifetime of studying what makes writing better to the table when I read someone else's work. I give myself free reign on a very small sample of your writing when you submit that writing for a sample edit. 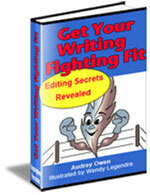 If you want to know just what an editor can do for you, get a sample edit. As to when you should use an editor, that can be at any point along your journey. Different levels of editing can happen at different points along the way. See the editing FAQ on this site for an idea of what each level can do for you. I have to confess that I saw the book of one author I surveyed who did not need a designer or artist. And of course there are writers who are also visual artists and who both write and illustrate their books. To all the rest of us, I say, here is another professional you really must use. Not only will the designer or artist bring a talent to the table that you probably don't have, (s)he should also know how to communicate with your printer in language the printer understands. That alone will save you endless hours of frustration and grief. The best time to hire a designer or artist depends on the type of book you have. Just be sure you've left enough time for this professional to do his or her best work. Start looking early enough to find out about time lines before you reach your own deadline for going to print. I wouldn't even have asked this question if I hadn't seen the range of books I saw when I asked the survey questions. Most of us had used a printer, and I just assumed anyone serious about publishing would. Those who didn't use a printer had books that looked both very professional and very, well, not professional at all. If you will sell to the public, your book simply has to look professional. Very few of us have the equipment to produce something like that ourselves. And if we do have the equipment that will look professional, we also have to ask how many copies we can churn out on our desktop printers. If you are in this to make money, you will want to use a printer. Printers have on and off seasons. If you choose to print in the off season (usually January to March), you can save some serious money. There will be some back and forth between your designer or artist, the printer, and you, so leave lots of time for making corrections. A good printer will insist that you see hard copies, not just digital images, if you are creating a hard copy book, so there can be time lags as proofs go back and forth. You hire a distributor if you have lots of books and you want a life. The distributor has ready-made access to retail outlets. This saves you the trouble of driving around with your car full of books trying to convince each vendor to carry your book. Some places simply will not take a book from anyone but a distributor. This saves the vendor a lot of bookwork. You have a very limited number of books. You have an audience you can reach on your own. Your price point can't handle the discount the distributor takes (usually 60% plus shipping and handling). You actually want to drive around with your car full of books. ...OR you don't have time to spend on marketing. My warning here is, know what you want from the PR service and why you want it. I've seen far too many writers spend huge sums of money to have a press release sent to "thousands" of recipients only to have no sales follow the release. You can send your own press release into the ether for free or next to it. Imagine you are a book seller or a TV program producer. Imagine how many emails you get every day asking you to promote someone's book. Imagine how many of those emails you actually read. Before you spend money on PR, ask questions about exactly what you will get for your coin. Ask for references. Get at least three references. Then check them. Carefully. Ask what the writer got for his or her money. You will spend a great deal of time and energy writing your book. Hire the professionals you need to make your book--and its sales--the best possible.